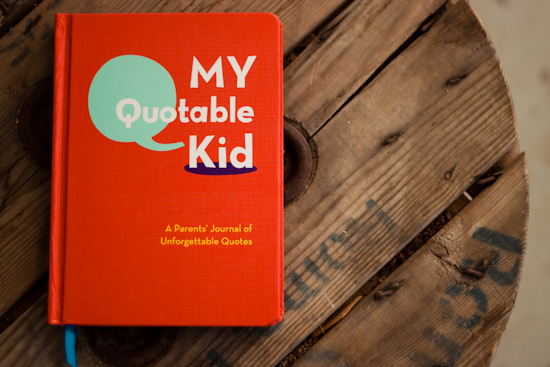 Strawberry Chic: Fabulous Finds: "My Quotable Kid"
Fabulous Finds: "My Quotable Kid"
We've all heard the words "kids say the darndest things" right? 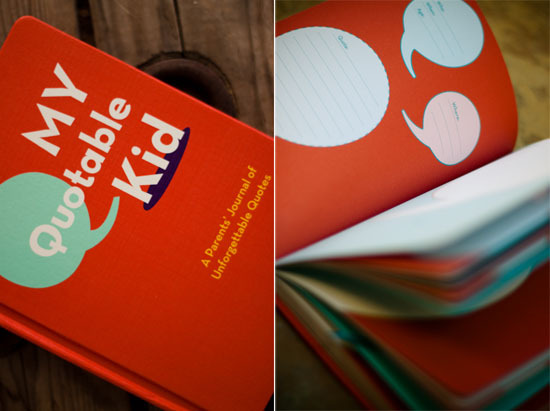 Well, wouldn't it be nice to have an entire journal dedicated to those hilarious and precious words spoken by our little ones? My wonderful sister in-law gifted me this fabulous book for my 26th birthday, which I celebrated earlier this month! Although my little guy is just shy of being 18 months old, and isn't saying much more then "da-da, ma-ma, and na-na (for banana)" I am so excited to have this journal so I can keep track of all of the fun things he will be saying in the future! If you are thinking that this book would be great as a gift, or you would like one for yourself you can pick one up Here for only about $10! This is so perfect! I don't have kids yet but have already decided I want to make sure I write down all the cute things they say. I definitely have to buy this! And this is a great gift for baby showers, too! Ahh yes kids DO say the darndest things! I used to be a nanny for a 6 year old girl and one day she asked me, "Why do you little red bumps on your chin?" haha!! Oh, fun. I just got this for mothers day. Can't wait to start using it.